Tran is a trial lawyer who constantly works on honing his skills and improving his craft. His firm, Tran Law Firm LLP, is mainly focused on civil litigation involving commercial disputes and employment law, which involves all aspects of employment litigation and counseling. Tran has been rated by Super Lawyers and is a member of 10 organizations outside of his practice. 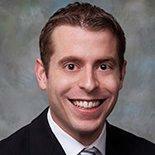 Steven A. Caufield is a commercial real estate attorney, as well as a hospitality counselor. 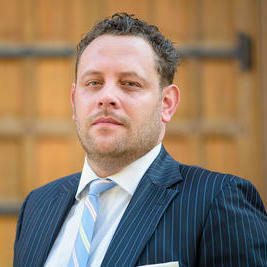 He has more than a decade of experience and has been licensed to practice law in Texas. 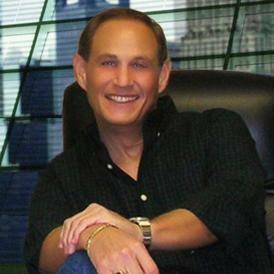 Steven attended the Tulane University Law School, where he received his J.D. in law after his graduation. Steven primarily specializes in real estate law, but he also has extensive experience in drafting, reviewing and negotiating commercial contracts. Steven has been a counselor at Sherry Law Ltd since July 2017. "Steven represented us in over two dozen hotel sales as part of a strategic re-focusing of our REIT. He handled each deal with the utmos..."
Nicole is a top-rated lawyer who represents businesses in many cases related to employment and business law for clients in Texas and around the country. She began her own firm, Nanasy Muehr, out of a drive to better serve clients without the overhead of larger firms. She is highly rated in the industry with recognition from The American Lawyer Magazine among other organizations. Adriana Lopez-Ortiz is a research attorney who often works with nonprofit organizations. She is licensed to practice law in Texas and obtained her Juris Doctorate degree in law from the South Texas College of Law. Adriana is also experienced in drafting, negotiating and reviewing commercial contracts. She served as a partner at Richard Rodriguez & Skeith LLP between October 2016 and August 2017. 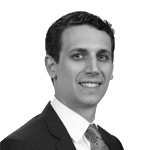 Andrew Campbell is a business attorney with four years’ experience. He is licensed to practice law in Texas and obtained his legal degree after graduating from the University of Houston Law Center. Andrew specializes in dealing with commercial contracts. He is exceptionally experienced in dealing with mergers and acquisitions, as well as legal issues that affects startup companies. Between 2014 and 2016, Andrew served as an associated at Bakerhostetler. What Is Transfer of Partnership Interest? Can You Go to Jail for Breach of Contract? Why use UpCounsel to hire a Carrollton Contract Attorney? The Carrollton contract attorneys & lawyers on UpCounsel are dedicated to helping businesses save time, money, and peace of mind with contract drafting and review, negotiations, litigation support, discovery, commercial business transactions, and more. Although the work of the Carrollton contract attorneys found on UpCounsel often varies they are highly experienced in legal contract activities such as commercial contract negotiations, document review in response to document subpoenas, request for production of documents, legal research, draft legal briefs, along with providing a full range of other contract legal services to businesses of any size. Improve Your Legal ROI with Affordable Contract Attorneys that service Carrollton, TX. Want to Connect with Top Carrollton Contract Attorneys & Lawyers?